With over 20 years of activity, Lollapalooza is one of the most renowned and celebrated music touring festivals in the world. Originated from the USA, it soon crossed over and is now celebrated worldwide in cities like Berlin, Paris, Santiago, Buenos Aires, etc. The South American leg of Lollapalooza usually runs in parallel with artists traveling between different cities. 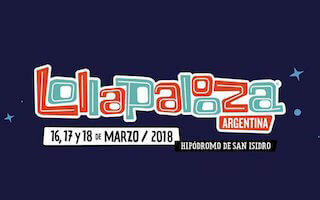 This year, Lollapalooza Argentina will take place from March 16th to 18th. Just like you, we are also pretty excited for Lollapalooza Argentina 2018. Let’s begin and learn every essential detail about this year’s festival. Hipódromo de San Isidro is located in the northern part of Buenos Aires and can easily be reached through different modes of transport. You can take a bus, city train, or a cab to the designated venue. It is one of the largest horse racing tracks in South America, which is revamped during the festival to host thousands of attendees. There is a reason why Lollapalooza is considered as one of the most anticipated music festivals in the world. It hosts several artists and bands of different genres (like rock, pop, metal, hip-hop, etc.) and from various countries. Not just English, Spanish and Portuguese musicians are also invited, which makes it such a diverse festival. Here is a complete lineup of all the daily events that are scheduled for Lollapalooza of Argentina 2018. Though, the event will host more than 100 artists from various parts of the world, here are some performances that you just can’t miss. This iconic American rock band is from Seattle and has been around from 1990. Eddie Vedder is the most prominent face of the band, who is also the lead vocalist. If you are a true rock fan, then you must have heard of Imagine Dragons. Even though the band got a massive global success for their hit album, Night Visions, they have been active for almost a decade now. One of the best vintage pop-rock singers in the world, Rey is known for her critically acclaimed and commercially successful tracks like Born to Die, Summertime Sadness, Love, White Mustang, and more. You can’t miss the performance of this globally renowned rock band from Nevada. They will be performing at Lollapalooza Argentina on 17th March. If you are into hip-hop, then you should certainly witness Wiz Khalifa performing his hit singles on the second day of the festival. Red Hot Chili Peppers has been giving smashing hits for more than two decades now. The American funk rock band was originally formed in 1983. Kygo is the stage name of the Norwegian DJ, Kyrre Gørvell-Dahll. He is known the world over and has collaborated with some of the biggest names in the industry. Originally from Chicago, this hip-hop star (Chancelor Jonathan Bennett) is known by his stage name, Chance The Rapper. Already breaking various records worldwide with her mega-hit single “Havana”, this former Fifth Harmony singer will be performing on the first day of the festival. This rock band based out of New York is probably one of the biggest names in the industry. James Murphy is the lead vocalist of the band. Now, you can prepare yourself for Lollapalooza Argentina of 2018 by listening to the hit tracks of these amazing musicians on Snaptube. 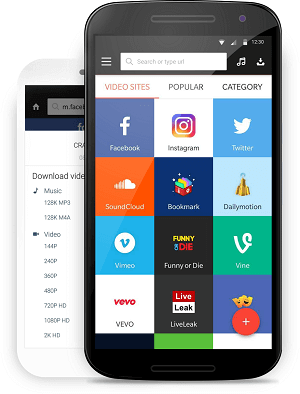 The freely available app has an unlimited range of music as it has integrated a wide range of platforms together. From rock to pop and metal to hip-hop, you can listen to all kinds of music on Snaptube without paying anything. Simply search for the track, album, or artist of your choice and start streaming their music. Yes – it is really as simple as that. Give it a try and be sure to have a great time at Lollapalooza Argentina this year.